Windows Phone 8 is the second generation mobile operating system of the Windows Phone platform from Microsoft. Introduced to users on October 29, 2012, this OS looks very similar to its predecessor, Windows Phone 7, while also bringing many more enhancements over the latter. Windows Phone 8 replaced the Windows CE-based architecture with a new one, based on the Windows NT kernel, thereby enabling app developers to port applications between the desktop and the mobile platforms. This new OS also permits devices with larger screens; brings multi-core processors; a new and far improved customizable UI and Home Screen; Wallet and Near Field Communication; effortless multi-tasking; support for microSD cards; seamless integration of VoIP applications and much more. The WP8 platform aims to reach out for better enterprise support, by enabling business establishments to create a private marketplace to distribute apps exclusively to their employees. Additionally, this OS also supports future over-the-air updates. Packing in many powerful features, the one area where Microsoft needs to put in much effort at this point in time is to offer many more apps to the user. Already starting to add on some popular apps from other OS’, the company yet has a long way to go before it can offer serious competition to the current market leaders, Android and iOS. Native support or C++ enables developers to port apps from other OS’, such as Android and iOS with greater ease. Developers can also easily port Windows 8 apps to the Windows Phone 8 platform. Remote device management of the Windows Phone OS has the same feel as the management of traditional Windows desktop computers. 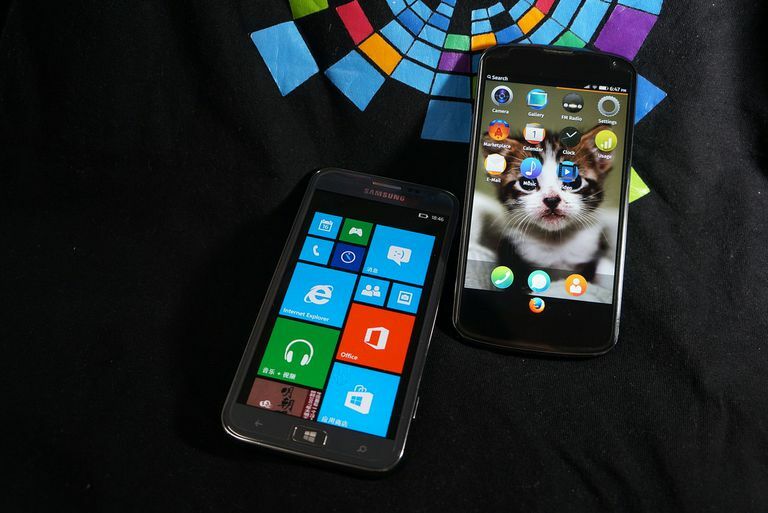 Two of the most popular mobile devices featuring the Windows Phone 8 OS, at present, are the Nokia Lumia 920 and the HTC 8X. Other manufacturers include Samsung and Huawei.